Central air conditioning and heating are the top energy consumers in homes, so ensuring the efficiency of your entire HVAC system can yield big improvements in energy efficiency. When we think about saving energy, we usually focus on the furnace and air conditioner units, but a leaky duct system can reduce your climate control system’s efficiency 20% to 30%. These leaks can bring unwanted dust, unconditioned outdoor air and humidity into your living space-and take money straight out of your wallet. Duct pressure keeps hot or cold air flowing evenly to all registers (air vents) in the system. Without proper pressurization, registers closest to the furnace or air conditioner receive most of the conditioned air; Registers that are the furthest away receive very little airflow. If the return ducts are leaky, contaminated air from damp basements, wet crawl spaces, and attic areas that may contain animal droppings or hazardous insulation materials may infiltrate your systems. Damp wet air pulled into your system from leaking ducts condenses, and condensation can lead to mold growth. Mold growth can lead to health problems and more. 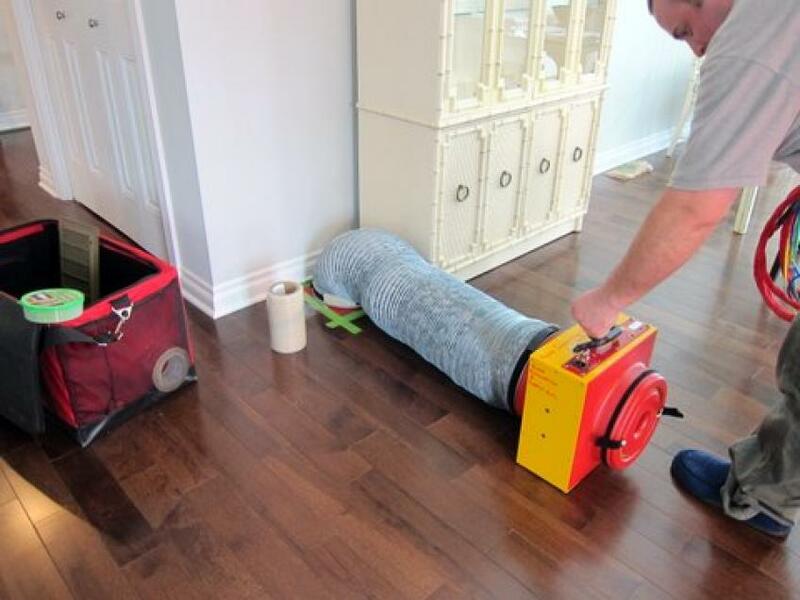 A Duct Blaster Test is used to directly pressure test your duct system for air leaks, about the same way a plumber pressure tests water pipes for leaks. A duct leakage tester consists of a calibrated fan for measuring an air flow rate and a pressure sensing device to measure the pressure created by the fan flow. The combination of pressure and fan flow measurements are used to determine the ductwork airtightness. This tool can tell you exactly how leaky your duct system is and where the air loss is occuring. When duct testing reveals leaks in new construction, it is the contractor’s responsibility to fix the leaks.